Each year there are numerous cases caused by prescription drugs and they are the reason for more than 1.5 million cases of people who have suffered from the side effects of drugs and have been hospitalized, and also they are responsible for over 100,000 deaths. The top cause for numerous deaths in the United States is adverse drug reactions. Each prescription medication carries a certain risk, but memory loss is the most frequent side effect. 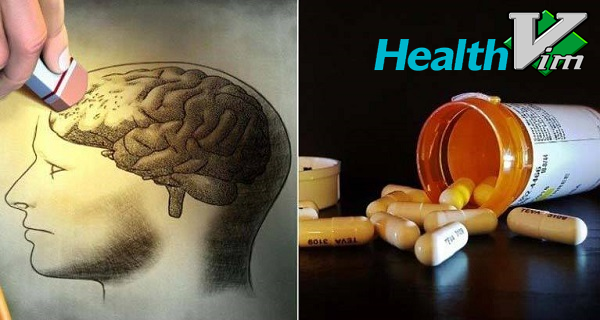 Each medication that has ‘anti’ in its name has an impact on the acetylcholine level such as antihypertensive, antibiotics, antispasmodics, antipsychotics, antihistamines and antidepressants. Acetylcholine is very important for the memory because it is the main neurotransmitter connected with the process of learning and the memory. Decreased level of acetylcholine can cause these medical conditions: dementia, memory loss, hallucinations, blurred vision, mental confusion and delirium. The sleeping pills are known for their ability to cause memory loss. The commonly used medication – Ambien is also known as ‘amnesia drug’ because it can lead to the following side effects: hallucinations, sleep driving, night terrors, and sleep walking. The sleeping pills put your mind in a state which is like being in a coma or being drunk. So these pills do not induce the restorative sleep that is important for the brain to keep its health and repair itself. So there are many other alternative ways to induce sleep than with sleeping pills.